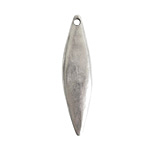 Nunn Design Antique Silver (plated) Primitive Elongated Diamond Pendant 10x41mm BACK IN STOCK! Nunn Design Antique Silver (plated) Ornate Tassel Cap 12x10mm BACK IN STOCK! Nunn Design Antique Gold (plated) Hammered Edge Jump Ring 10mm BACK IN STOCK! Nunn Design Antique Gold (plated) Primitive Circle Charm 10mm BACK IN STOCK! 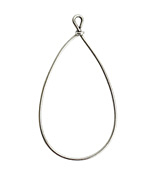 Nunn Design Antique Silver (plated) Wire Frame Drop 24x47mm BACK IN STOCK! Nunn Design Antique Gold (plated) Hammered Jump Ring 13mm BACK IN STOCK! 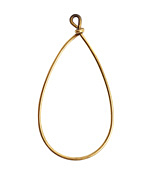 Nunn Design Antique Gold (plated) Organic Mussel Shell Drop 9x28mm BACK IN STOCK! Nunn Design Antique Copper (plated) Hammered Jump Ring 13mm BACK IN STOCK! Nunn Design Antique Silver (plated) Beaded Large Open Circle Pendant 25x30mm BACK IN STOCK!